Summer is long gone, but good times on Bowen are still here! 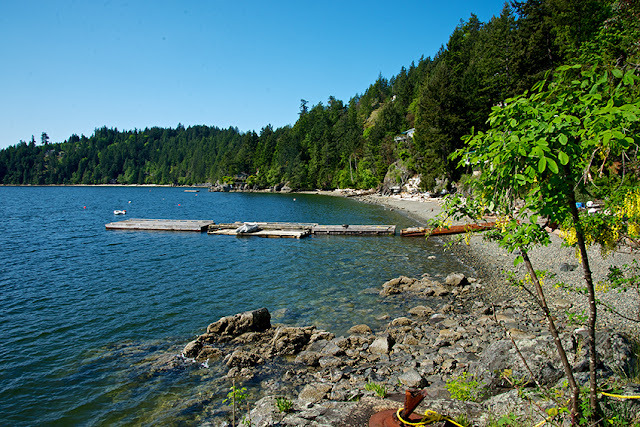 Here in the Eaglecliff neighbourhood, home of the Lazy Bowen Hideaway and the Lazy B Waterfront Suite, our community has long ago put away our summertime dock into safe harbour. 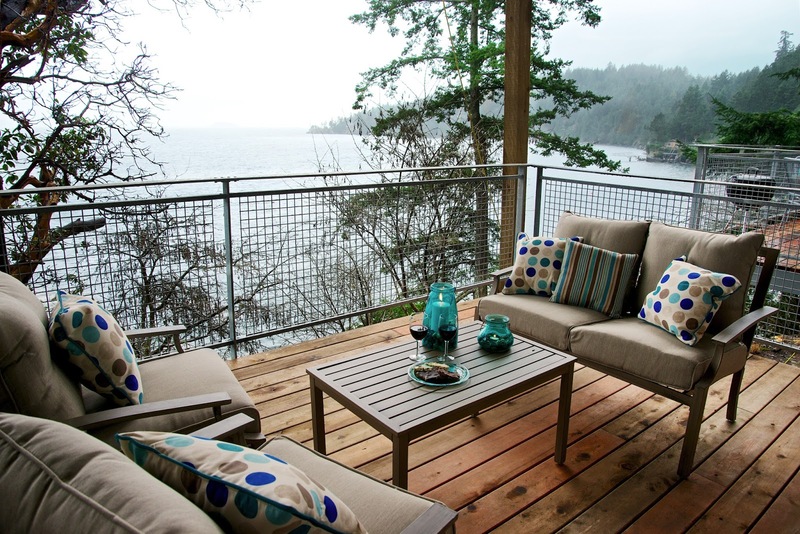 Summer is a distant memory, but that doesn't mean you can't enjoy all Bowen Island has to offer in the cooler months. With the end of the summer season comes the exciting Storm Season. The Hideaway and Suite are poised on the perfect viewing cliff to watch the storms come straight at the property. Whether the rain tapping a tune on the roof or the wind-driven waves crashing on the beach below the rhythmic harmony will lull you into another world of ahhhh-ness. (Same as: be lazy, do nothing, relaxation only, please). What to do when it is pouring outside? Lucky for you we have 8 Rainy Day ideas………………………. 1) Light a fire. 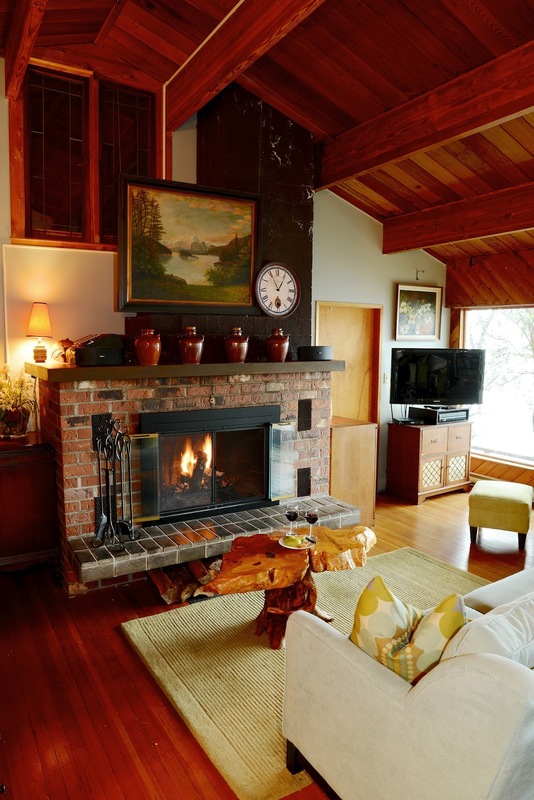 Our wood-burning fireplaces in the Lazy Bowen Hideaway, Eastman Waterfront Retreat, Evergreen Cottage, and Weaver Waterfront Cottage and the wood stove in the Waterfront Suite and Eastman Waterfront Cottage make for an extra dose of cozy during your stay. It’s not needed to heat the rooms (we have modern conveniences such as baseboard heaters) but it sure adds that “away from it all - put your feet up” ambiance. We allow fires October through April and supply enough wood for your evening fire. 2) Watch a movie or 20 on our flat screen TVs. 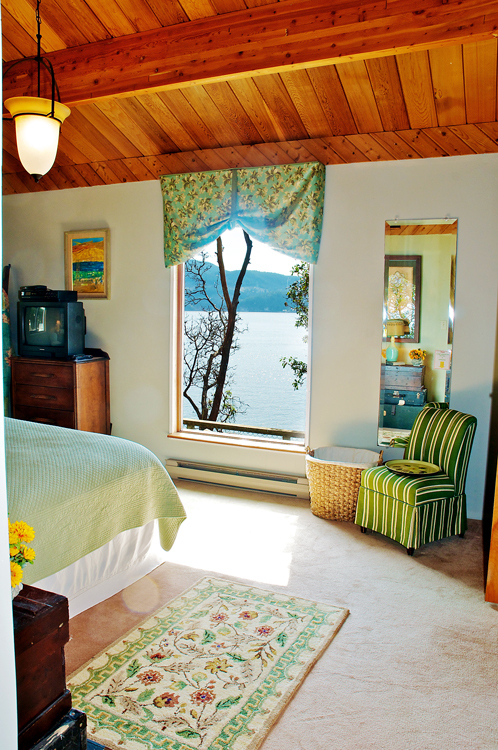 Both the Hideaway and the Waterfront Suite are supplied with an abundance of popular DVDs and classic VHS movies. 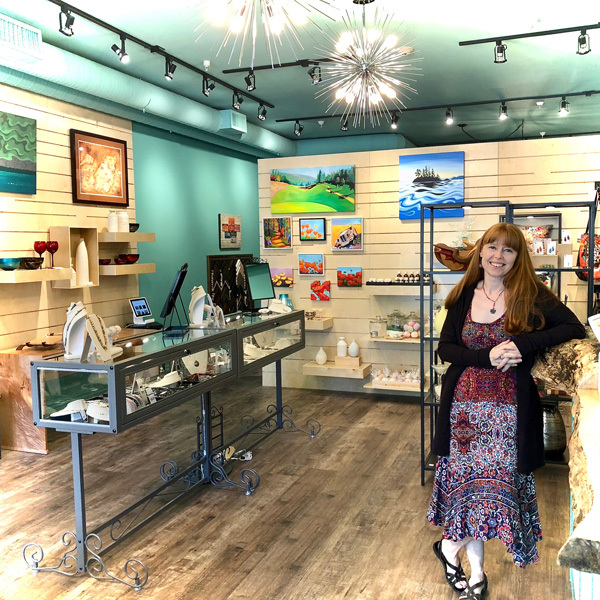 You can also borrow DVDs at the Bowen Island Public Library, or pick up some interesting finds at the Knick Knack Nook. The Hideaway 55” smart TV offers Netflix. Your stay is the perfect time to binge-watch without having the early work wake up call. 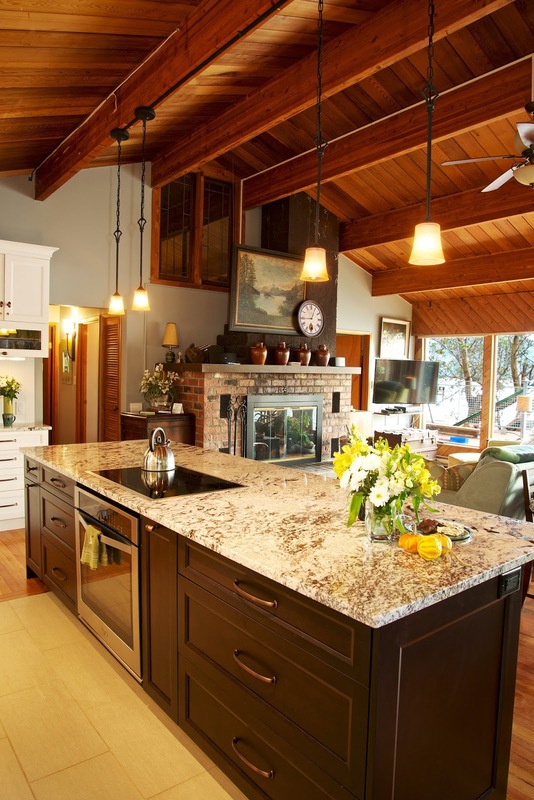 The Eastman Waterfront Retreat and Cottage have recently received TV updates. 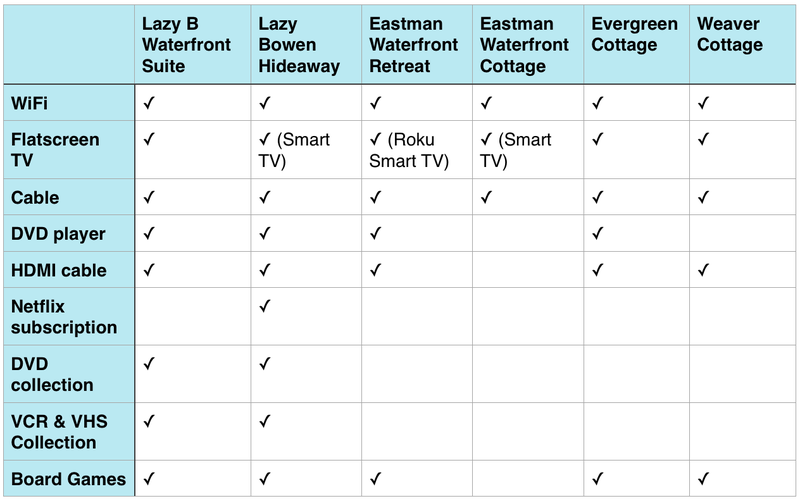 The Retreat TV is NOW Smart with the addition of Roku. The Eastman Cottage has been upgraded with a 24" smart TV. Access NETFLIX with your own account to enjoy your raining evenings. 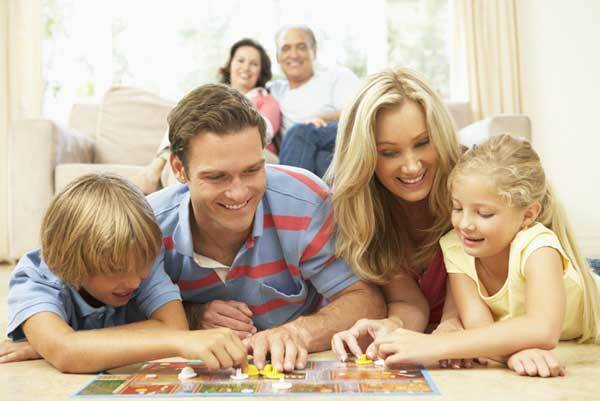 One of our many games available for your rainy day fun. 3) Family board games and puzzles abound--------sit around the table and quietly fit this piece to that piece, corners and straight edges first……….the perfect “think about nothing” activity. Or if you fancy yourself a great speller start up a game of Scrabble. We also have Yahtzee, cribbage, cards, and many other games at the Lazy Bowen Hideaway, Lazy B Waterfront Suite, Evergreen Cottage, Eastman Waterfront Cottage, Eastman Waterfront Retreat, and Weaver Waterfront Cottage……. I just can’t remember them all. I don’t know about you but one of my best memories is the family playing a game of Hearts around the dining room table on a stormy rainy night…………Maybe you can have that memory too? Head to the Bowen Island Library to check out a book or buy a used book. 4) Curl up with a book and snuggle under a cozy throw. Of course, you can bring along your favourite novel but no worries if you get in a hurry packing up to leave the city and you forget yours. (I would be in a hurry to get to Bowen Island too.) The Lazy Bowen Hideaway and Waterfront Suite have collections of all kinds of books from romance novels to Reader's Digest. And if that isn’t enough, you can pick up a book at the Bowen Island Library from their well-curated collection. They have used books for sale as well and you will be kindly supporting the Friends of the Library who fund-raise and support our little library throughout the year. 5) A good time to get your Christmas baking done. The all-new kitchen in the Lazy Bowen Hideaway is perfect for baking in our new convection ovens. The NEW Whirlpool convection oven plus the Micro Convection means you can fill the Hideaway with the sweet scents of cookies and cakes. While you are baking up a “storm” you can gaze out the south-facing windows watching the ferries and ships sail by………anticipating the next lightning strike. The large 10 x 4-foot granite island allows for a huge mess…..stuff everywhere……..and then………BOOM……….clean up is easy (we have a new dishwasher). 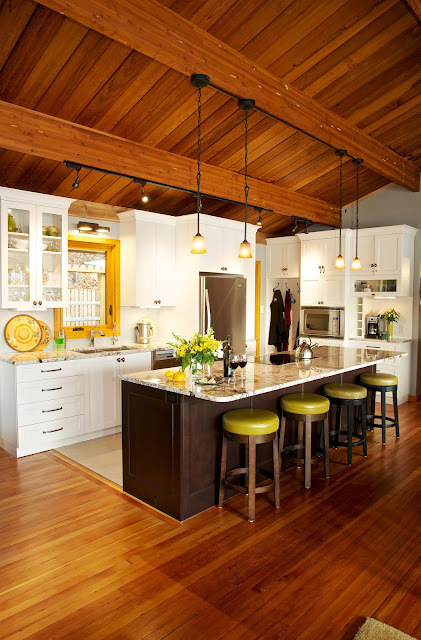 Oh, and I forgot to mention……..the kitchen has many levels of lighting from bright task to ambient mood lighting……..you will love it!! 6) MAXIMIZE YOUR RELAXATION WITH AN IN-SUITE MASSAGE. Can you imagine a 60 or 90-minute in-suite massage by a certified Registered Massage Therapist? No driving required. All you have to do is slowly roll off the table and then sit and immerse yourself in the complete satisfaction that you have just been healed. Karolina McMurray will create the mellow mood you are after and at the same time massage away your stress. Or, a short drive (10 minutes) will deliver you to this little dynamo, Jenni Griffiths. She is so tuned in to your needs that 60 minutes just won’t be long enough…………90 minutes is heaven. Let her know if you want a deep massage or a relaxation massage………guaranteed she will make you and your body happy. Schedule with Jenni Griffiths of Cedar Room Massage Therapy. We also recommend Karolina at Spirica Healing (she does mobile massage as well as at her studio), and Solarium Massage Therapy and Rehabilitation. 7) Defy the Rain and sit outside on our NEW waterfront deck............You are covered. 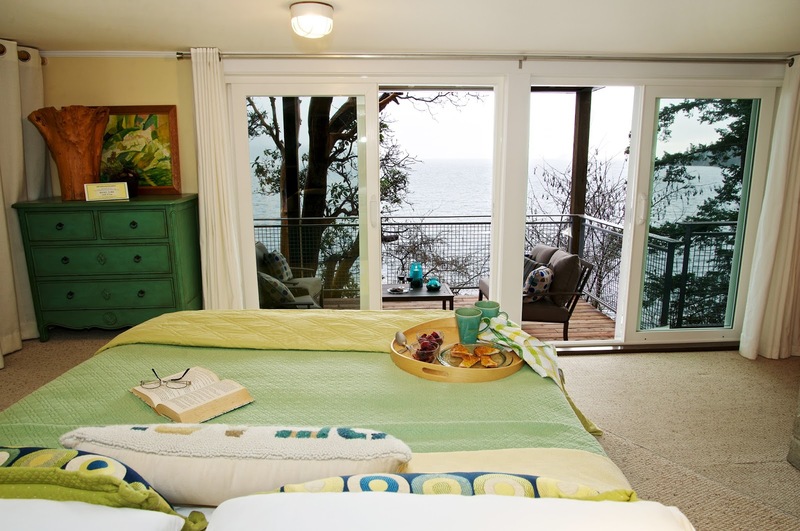 We love (and our guests love) our NEW Lazy B Waterfront Suite covered seaside deck with comfortable furnishings. Wrap up in a throw, grab a cup of hot Joe and immerse yourself in the fresh air, crashing waves, and nature all around. Bet you can't do this in the city!!! 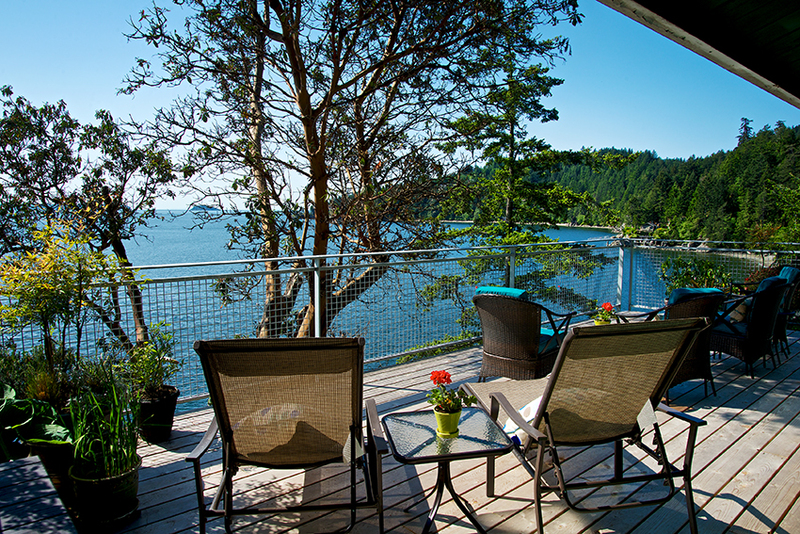 Be sure to follow the Lazy Bowen Hideaway and the Lazy B Waterfront Suite on our Facebook page.